The Amazon rainforest is an incredible place, the subject of countless novels and stories. Discovered, explored and exploited for generations, millions of people call this biodiverse and globally important region home. The area is often referred to as the “lungs of the earth” as the plethora of plant life grabs carbon dioxide out of the atmosphere and replaces it with life-essential oxygen. In partnership with a Peruvian non-profit organization, CONAPAC, the Detroit Zoological Society (DZS) is preserving the rainforest, one child at a time. 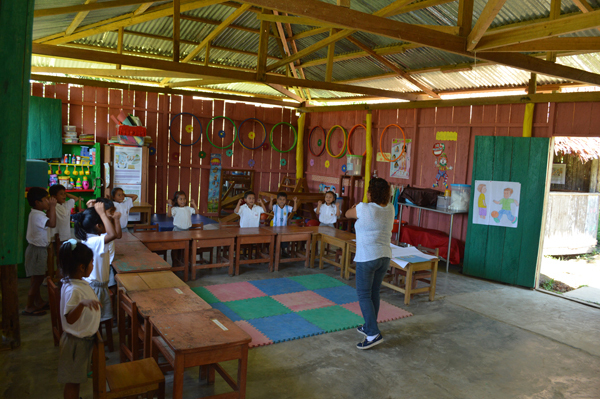 The DZS has partnered with CONAPAC since 1999, supporting children and teachers in rural areas of the rainforest. Each spring, more than 3,000 students and teachers receive a year’s worth of basic school supplies, purchased with money donated by individuals from all over the world. To complement the supplies, all teachers are required to attend a professional development workshop to enhance their teaching skills and increase student literacy. This year, the teacher workshops were held in the city of Indiana, in Loreto, Peru, during the last week of June. I attended the workshops to observe first-hand what the investment of time, energy and resources was producing. I was incredibly impressed. This year there were two sets of workshops; one for teachers working in communities on the Amazon, the other for teachers who are working in the communities off the Napo River and its tributaries. The non-profit organization, El Conocimiento Se Comparte (which roughly translates to ‘the sharing of knowledge’), facilitated the content of the workshops on mathematics, reading comprehension and linguistics. El Conocimiento Se Comparte is a U.S. entity, composed of four siblings who were born and raised in Peru. 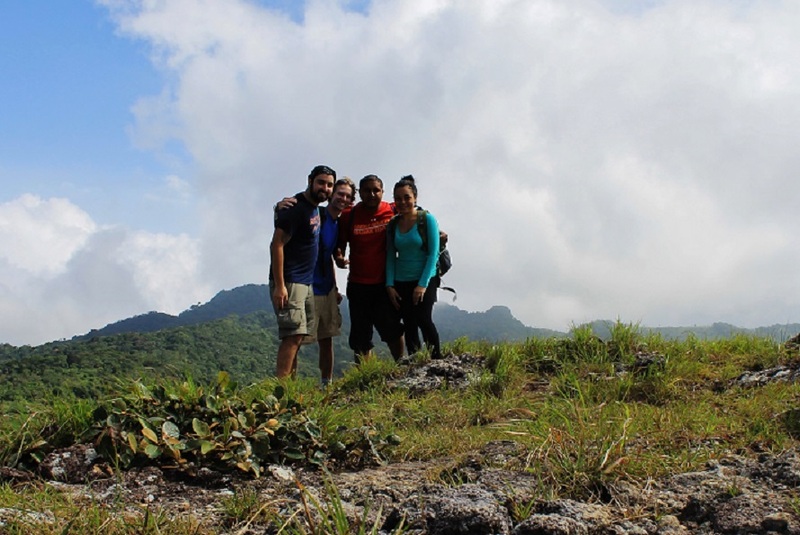 All four moved to the U.S. as adults to pursue their individual careers. Their goal is to share their talent and passion for teaching with a broad audience, including their home country of Peru. The CONAPAC team coordinated the location and logistical aspects of the workshop, and the El Conocimiento Se Comparte group brought their passion and talent. For the most part, I was a participant of the workshop proceedings. I sat through each session, gleaning as much information as I could, completely immersed in the native language and enjoying every moment of it. I watched as teachers engaged with one another and with the presenters, asking for more explanation when necessary, inquiring about specific student needs and adaptations, and taking copious notes every step of the way. Over the course of the next month or two, the board of education in the region will visit the teachers in their schools to observe if they have implemented the new teaching strategies. If they have, they will be eligible for a certificate, which could earn them a raise or a future promotion. When the CONAPAC and the DZS team conducts end-of-year evaluations in November, we’ll also be looking for signs that teachers have implemented the strategies and report back to our donors and the team. The conservation work in the Amazon continues to be incredibly rewarding, yet also challenging. By providing the opportunity for an education based in conservation, we are empowering the next generation of children who call the rainforest home to protect the ecologically vital ecosystem. For more information on the Amazon Rainforest Adopt-A-School program, including how to participate in annual deliveries or to support a school financially, visit http://detroitzoo.org/support/give/ or email clannoyehall@dzs.org. 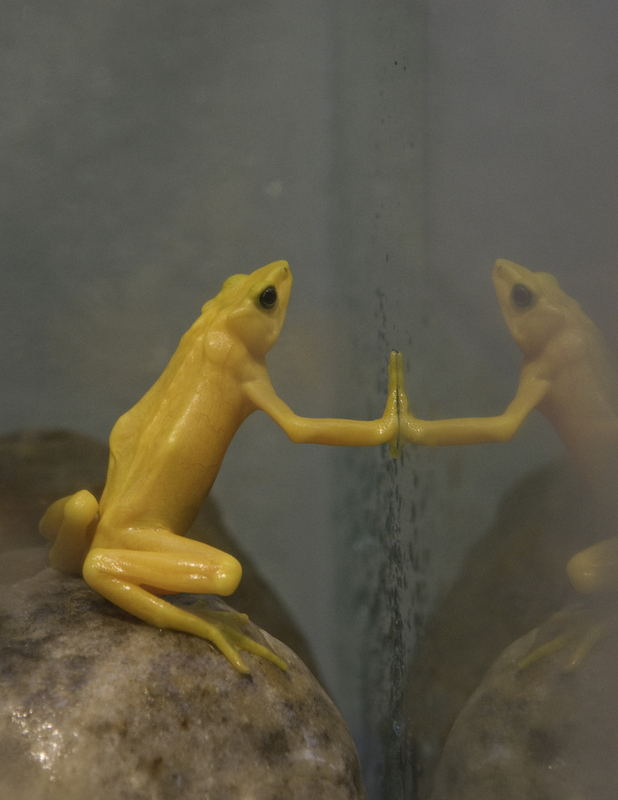 My job as a veterinarian for the Detroit Zoological Society (DZS) often has its surprises; for example, one time I discovered that some species of frog turn from bright green to dark green as they become anesthestized. Typically the surprises are the interesting and sometimes unbelievable things I learn about animals. 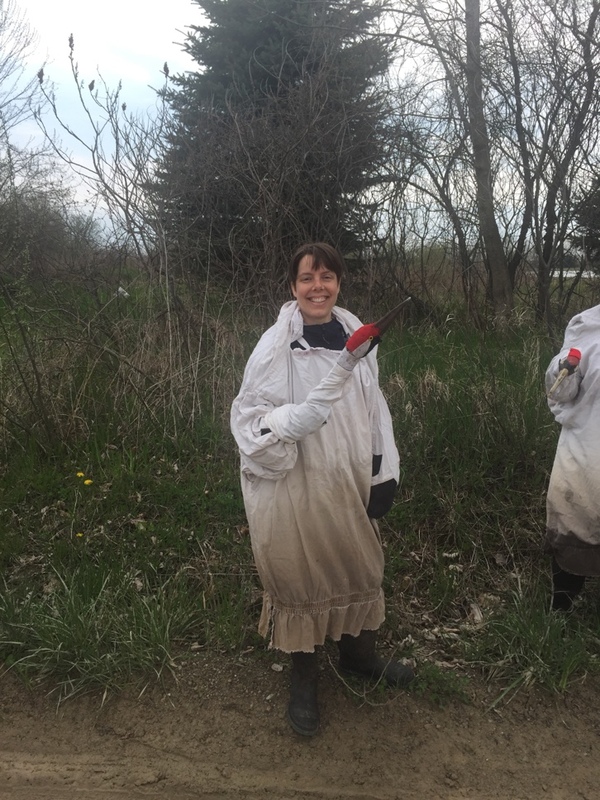 But sometimes what I do during the day is not what I thought I’d be doing when I woke up that morning – like wearing a full-size whooping crane costume and spending a day in a field with some lost birds. A few weeks ago, the DZS bird department was contacted by the International Crane Foundation, which is based in Baraboo, Wisconsin. They’d been tracking four yearling whooping cranes that were raised at the foundation and were newbies to the whole migration thing. The cranes had made their way to the Midwest from Florida but were thought to have been blown off course on their way back to Wisconsin by a storm that came across Lake Michigan. It was their first year migrating back on their own – who could blame them? After locating the birds near a cornfield in Michigan, the staff at the Crane Foundation needed a veterinarian’s health certificate stating that the cranes were healthy enough to travel back to Wisconsin. They reached out to the DZS. I jumped in a car with our curator and associate curator of birds and headed about an hour north of the Detroit Zoo into an area where houses were few and far between and the landscape was mostly farm fields. There, we met up with the staff from the Crane Foundation and witnessed four beautiful juvenile cranes come in for a landing just on the opposite side of the pond from us. Unfortunately, “just on the opposite side of the pond” was about 1,500 feet away, and a determination of good health cannot be made from that distance. The next thing I knew, I was handed a pair of binoculars … and a crane costume. Yes; a crane costume! You see, whooping cranes are highly endangered, and would in fact be extinct in North America if it weren’t for the captive rearing program headed up by the International Crane Foundation. The goal of the program is to create a sustainable wild population of whooping cranes, and this only works if the crane chicks are reared by “cranes”. Thus, human “parents” will dress up in crane costumes – the human body is covered in white, like the white feathering of the crane, and the human hand holds a replica of a crane head, complete with a functional beak, which teaches the chicks how to “be” a crane. So on this particular day, I found myself meandering across a cornfield in rural Michigan, stopping to “graze” every few minutes, preen my “feathers” and survey my surroundings alongside my fellow “crane”, one of the Crane Foundation staff members. Not long after we started our way across the field, the four juveniles began to notice us and they took interest. Gradually, they made their way over, two moving through the shallow pond while the other two came around the pond’s perimeter. In less than 30 minutes, I was face to face – or rather, beak to beak – with four amazing whooping cranes. Their beautiful yellow eyes sized me up as I looked for any signs of illness, but I found none. After I’d visited with each crane and felt assured of their health, I simply enjoyed the awe — and surprise — of unexpectedly having the opportunity to spend a few brief moments so close to these incredible birds. – Dr. Sarah Woodhouse is a veterinarian for the Detroit Zoological Society and works in the Ruth Roby Glancy Animal Health Complex at the Detroit Zoo. The Detroit Zoological Society (DZS) is continuing its efforts on an American marten conservation project in the Manistee National Forest. 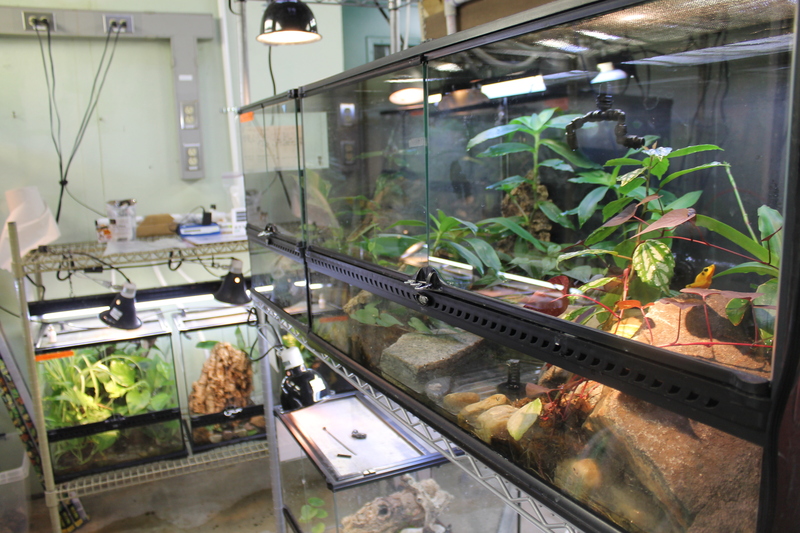 This spring, I was given the exciting opportunity to assist collaborators from Grand Valley State University and Busch Gardens on this project. Martens are small, weasel-like carnivores that became extirpated (locally extinct) from the lower peninsula of Michigan in the early 1900s because of habitat loss and unregulated trapping. 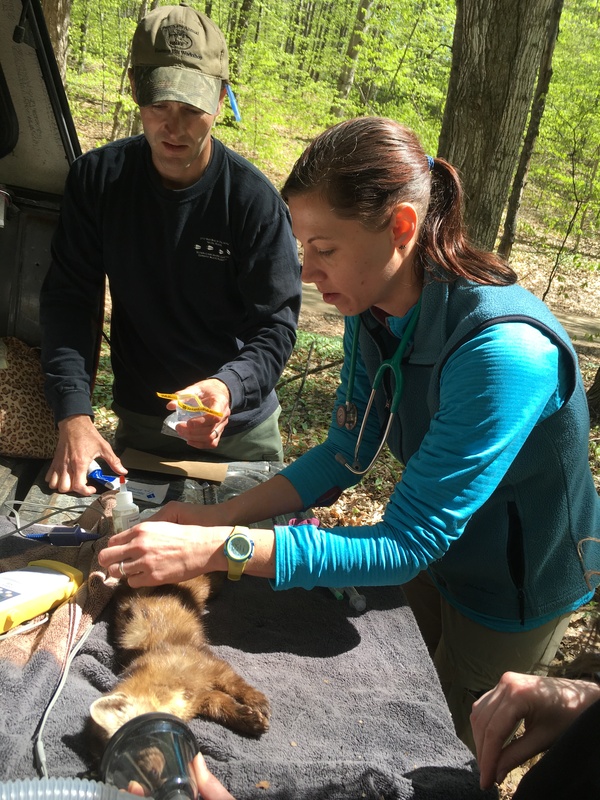 Martens were reintroduced back to the Manistee Forest more than 30 years ago, and since 2013, veterinary and animal care staff from the DZS have been helping to study the success of the marten reintroduction by looking at animal health, kit survival and habitat use. This work involves collecting martens in live traps and then anesthetizing them in order to perform physical exams and collect samples of blood, hair, urine and feces. The DZS uses Hav-A-Heart traps, humane traps that close in such a way that they do not harm the animal. The traps are set carefully to ensure that martens have a nice snug spot. We cover each trap with pine needles and leaves for warmth and nest building, and ensure the martens have a snack and a source of water. The collected samples are then tested for disease. The project also uses GPS and radio tracking collars to gather information on marten habitat use and determines which forest types they prefer. My time spent in Manistee involved daily morning checks of approximately 30-40 live traps for martens. If a marten is in a trap, it is then transported to the bed of a pickup truck in order to induce anesthesia and be examined. Special care is taken to monitor the marten’s body temperature to be sure that it does not become too hot or too cold during the procedure, and after samples are collected, a GPS collar may be placed on the marten to track habitat use. When the procedure is complete, the marten recovers in a small, dark wooden box until it is stable enough to be released. Once stable, a staff member opens a little door on the box and the marten runs off back into the forest. This entire process usually takes about 30 minutes from beginning to end. During my time assisting with the project, I spent many hours riding down narrow, bumpy and winding two-track forest trails. Some of these trails were quite precarious, but travelling them gave me the opportunity to see migrating birds, deer, a porcupine and even a black bear! We were able to collect samples from four martens and place GPS collars on three of those four, dramatically increasing the amount of data collected on marten habitat use. These GPS collars were purchased with financial support from the DZS, and the data will be used in collaboration with the U.S. Forest Service to decide how the forest can best be managed to facilitate recovery of the marten population. It was thrilling to be a part of this project and I am thankful to the DZS for allowing me this opportunity. – Erica Campbell is a veterinary technician for the Detroit Zoological Society and works in the Ruth Roby Glancy Animal Health Complex at the Detroit Zoo. Thanks to racecars, airplanes and dogged determination, the Tauber Family Railroad trains are running like well-oiled – and greased-up – machines. 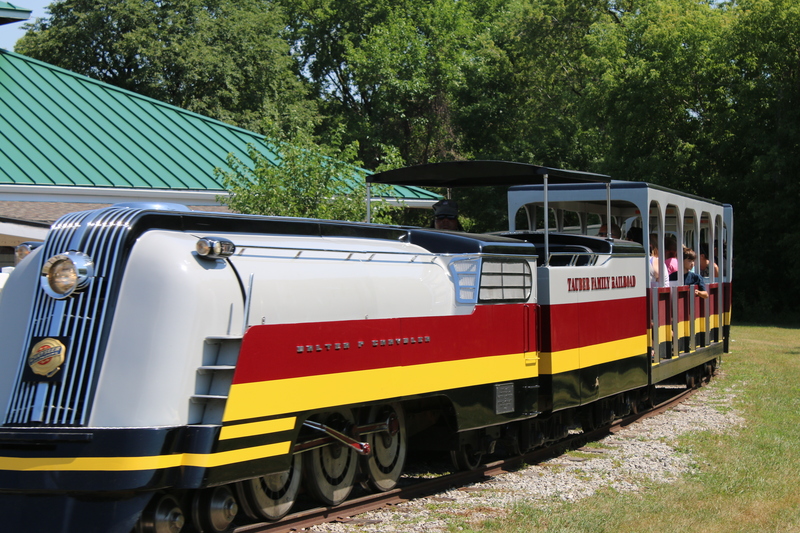 The Detroit Zoo’s Tauber Family Railroad has been a longtime favorite of guests of all ages. In 1931, three years after the Detroit Zoo opened its doors, the railroad system was donated by The Detroit News and it wasn’t long before riding the train became as much a part of going to the Zoo as seeing the animals. 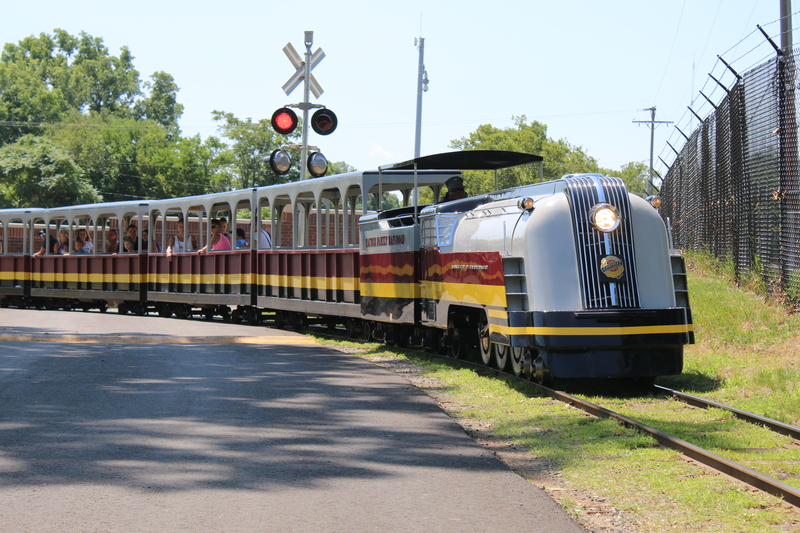 After serving an estimated 10 million riders, the original train was retired in 1949. In 1950, Chrysler donated three new trains, the Scripps, Reuther and Walter P. Chrysler. 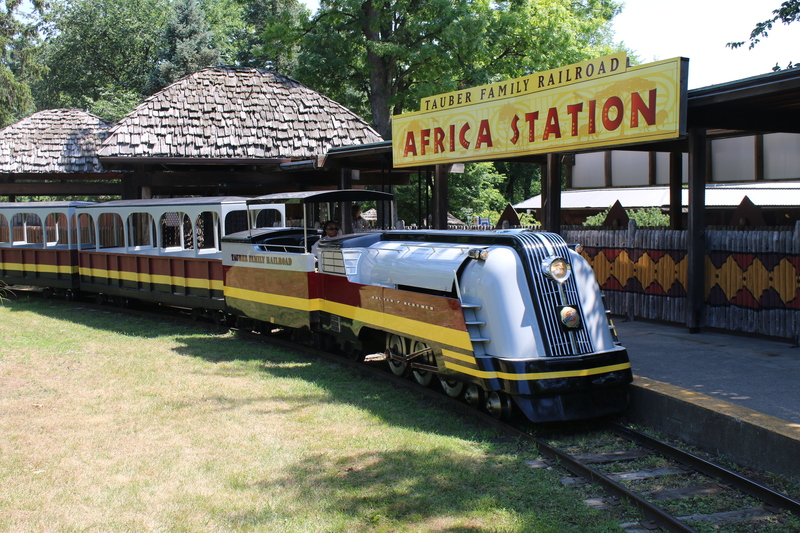 These trains – which the Detroit Zoo mechanics affectionately refer to as Scrippy, Ruthy and Wally – are still in use today, with rides offered daily from May to October, when the weather permits. Running for eight hours a day, seven days a week will put a strain on any piece of equipment, let alone a machine that has been around since Harry Truman was in the White House. To accurately portray just how “experienced” the trains are, when they were donated, gas cost just $0.18 a gallon, Disneyland wouldn’t be opened for another five years, television viewers were a year away from being able to watch “I Love Lucy” and there were still only six hockey teams in the NHL. 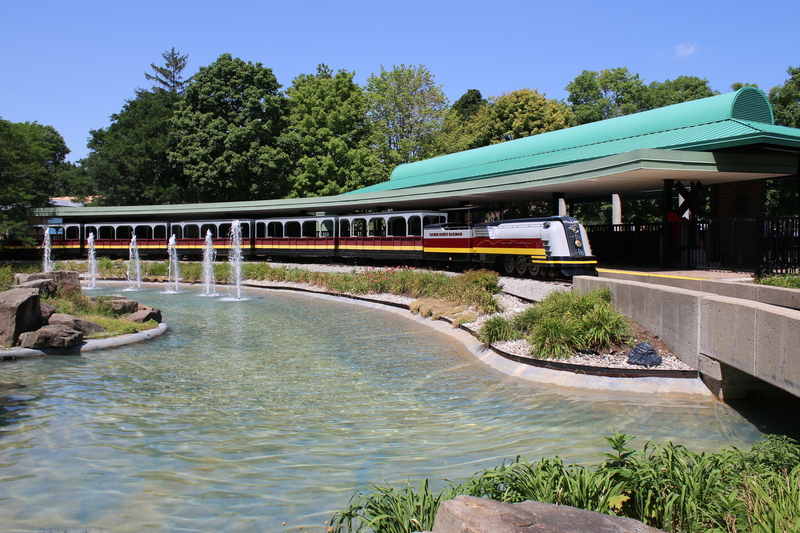 When Tim Wade was hired by the Detroit Zoological Society’s (DZS) maintenance department in 2014, the trains were known to be less than reliable, though still safe. In the short amount of time that Wade has been a part of the DZS family, he has changed the entire way that the trains are maintained and repaired. Previously, mechanics would rob parts from one train to ensure the other two were running; now Wade makes sure only the most dependable parts are being used. 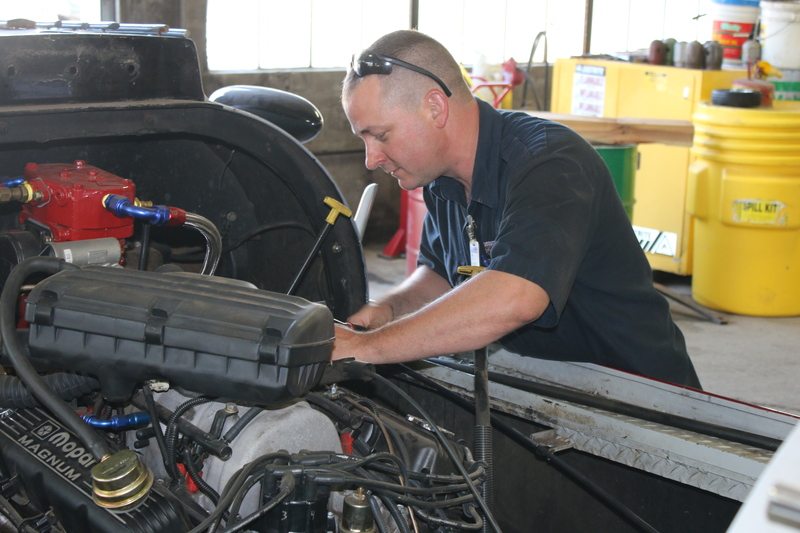 Wade and the DZS maintenance team, which also consists of Ben Fritsch, Alvin Dillard and Ross Urtel, have integrated new fleet maintenance practices into the upkeep of the train; ensuring that when Zoo guests want to ride the train, they can. Because of the loads that these trains carry, there is a need for proper maintenance and repair. By bringing his technical expertise, as well as his racing background into his work on the trains, Wade has been able to improve the efficiency of the railroad system. Wade grew up racing cars, which meant needing to be both the engineer and the mechanic when it came to maintaining as well as enhancing the vehicles he was racing. Wade has been involved in the mechanical trade as long as he can remember. He says that he got his doggedness and dedication to quality from his father, who was an aviation mechanic. Having never worked on a train before, Wade will be the first to admit that initially the task of maintaining the trains was a little overwhelming. This was when Wade decided that he should think of the trains as a racecar, and after that, improvements really started happening. His idea was to treat the trains as if they needed to finish an eight-hour race, and anything less than that would be unacceptable. As a mechanic, most of Wade’s work is done behind the scenes, which he says suits him, as praise has never been important to him. However, if he is having a bad day, he says walking over to the Africa Train Station and seeing the families smiling, waving and enjoying their time at the Zoo gives him a real sense of pride knowing that his work has made a difference in their experience. And a legacy has been born, as the mechanics take special joy in talking about the trains with those who could one day step into their shoes. The DZS education staff periodically brings kindergarten “World Travelers” to the maintenance shop to see the trains, meet their keepers and hear the tales of Wally, Scrippy and Ruthy. The Belle Isle Nature Zoo is a facility operated by the Detroit Zoological Society that sits on a 5-acre site on Belle Isle surrounded by undisturbed forested wetlands. 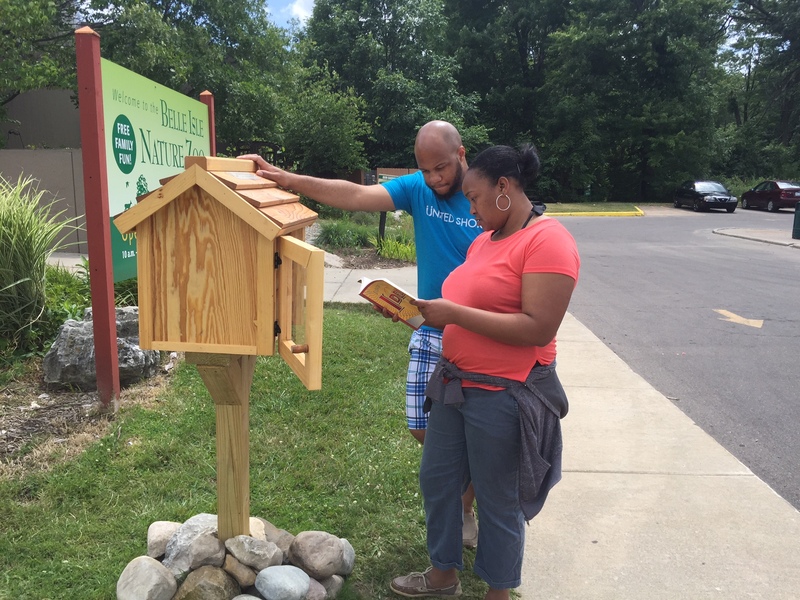 It provides year-round educational, recreational and environmental conservation opportunities for the community. 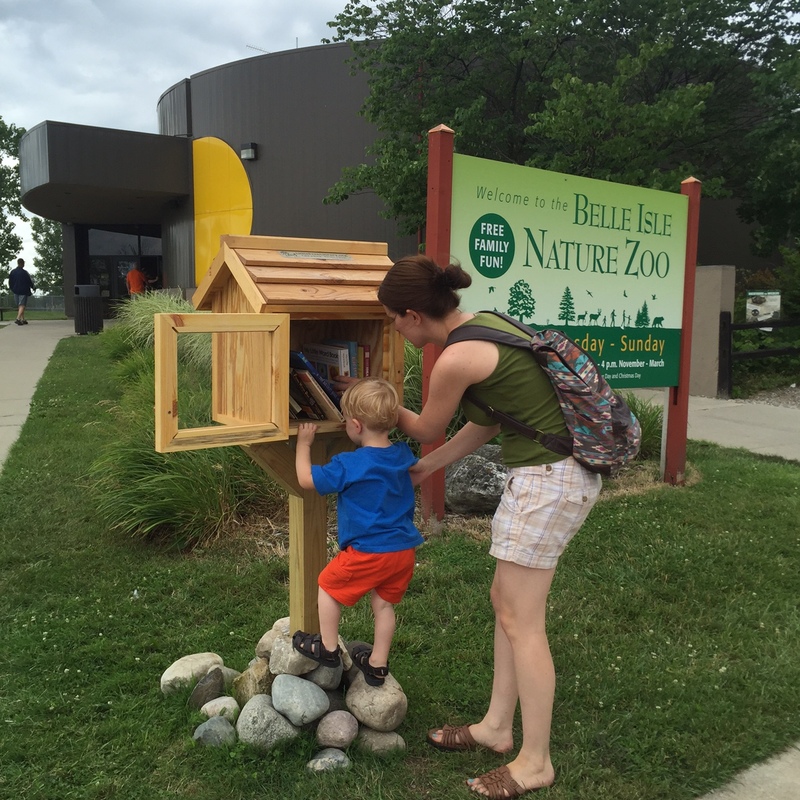 The facility is free to the public, open daily in the summer, and there are a lot of wonderful opportunities to explore nature and wildlife at the Detroit Zoological Society’s campus on Belle Isle. One of these fascinating features is the observation beehive, which provides a behind-the-scenes glimpse into the busy daily life of honeybees. 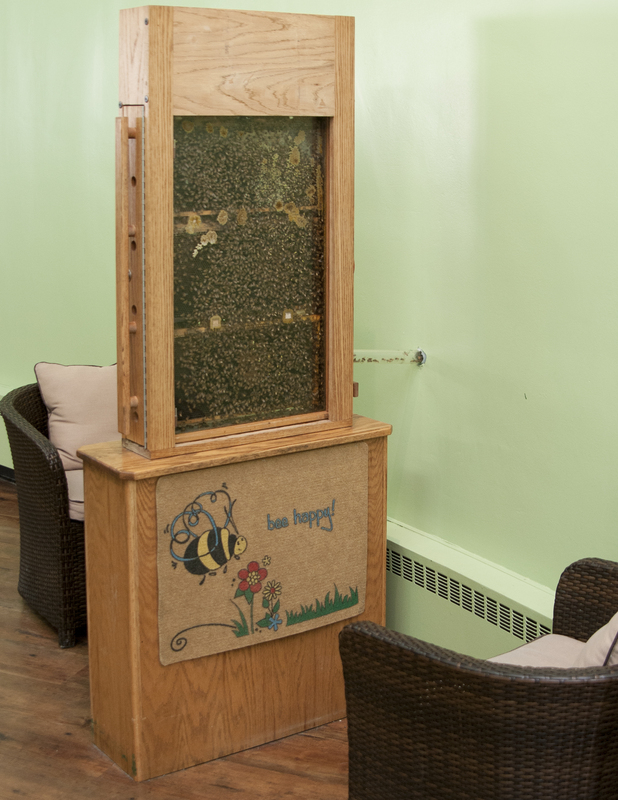 Sealed tightly within a double-sided glass case, and with a tunnel providing the bees year-round access to the great outdoors, our hive invites guests to watch the bees do what they do best: work! 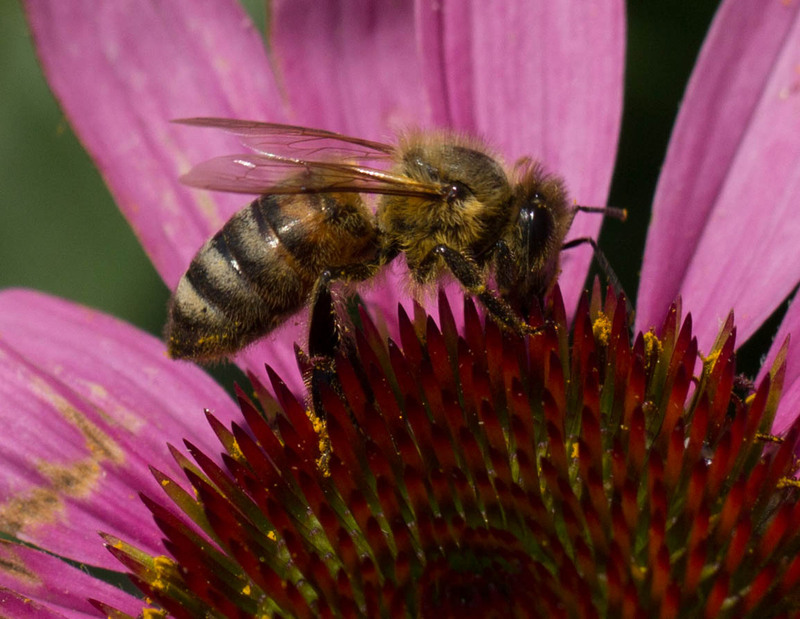 The work that the bees do is often more valuable than we realize. Bees are the most prolific pollinators in the natural world, due in part to their fuzzy bodies and faithfulness in buzzing to and from the same species of plant for an extended period. Pollination is the transfer of pollen from the male part of a plant or flower to the female part, which results in reproduction. In plants, one of the ways of producing offspring is by making seeds or fruit, and that surely benefits the rest of us! It has been stated that we can thank the bees for one out of every three bites of food we eat – and a lot of the good stuff, too, like fruits, vegetables, and even almonds. The pollination of bees also improves the production of the cotton plant, so not only do bees feed us, they clothe us, too! We recently celebrated National Pollinator Week with our volunteer beekeeper, Steve Burt. He has been taking care of bees since 1974 and brings his passion for pollinators to Belle Isle. Steve maintains the health and wellness of our indoor observation beehive as well as our two outdoor beehives. With a little help from our productive honeybees, Steve bottled more than 40 pounds of delicious Belle Isle Nature Zoo honey last year! The celebration of National Pollinator Week isn’t only for our gratitude for the fruits (and vegetables!) of the honeybees’ labor. 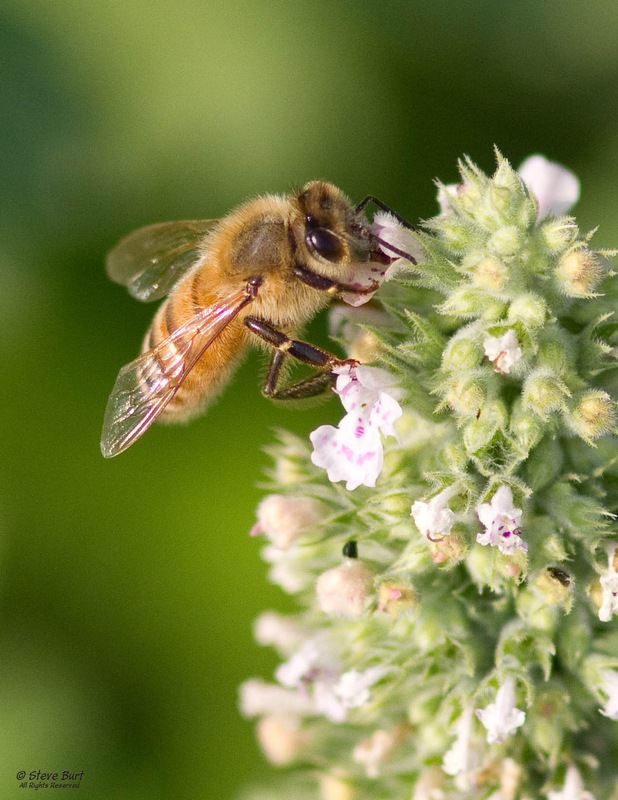 It also helps us raise awareness to the some of the very serious challenges that honeybees are facing these days. Mites, viruses, diseases and especially certain pesticides are all contributing stressors to severe colony decline and death, often referred to as colony collapse disorder. A recent survey by the U.S. Department of Agriculture determined that beekeepers across the country lost more than 40 percent of their honeybee colonies between April 2014 and April 2015. What can we do to help? We can plant nectar and pollen-bearing plants such as milkweed, goldenrod and aster, herbs including mint, chives, and oregano or fruits and vegetables like strawberries, cucumbers, broccoli and squash. We can encourage local governments and other volunteer groups to plant more pollinator-friendly plants in local spaces such as the areas along roadsides or within public parks. And if you have a bee problem, instead of bringing out a can of bug spray, call a beekeeper organization for species identification and useful advice. And while you’re here at the Belle Isle Nature Zoo, you can watch our premier pollinators in action. Look for the worker bees dancing to communicate to the other bees where to find a new source of food outside. See if you can find the queen bee (identified by her larger size and a small white dot) laying eggs and being well-taken care of by her colony. You might even find some of the brood, also known as the egg, larva and pupa, or spot some stored honey in our beeswax honeycombs – a great sign that our helpful honeybees will be here for time to come! There’s a lot of buzz about the upcoming Bee Fest event on National Honeybee Day at the Belle Isle Nature Zoo. This free event will feature demonstrations on how to build and maintain a bee-friendly garden, beekeeper talks, art, music, crafts and a bee costume parade! 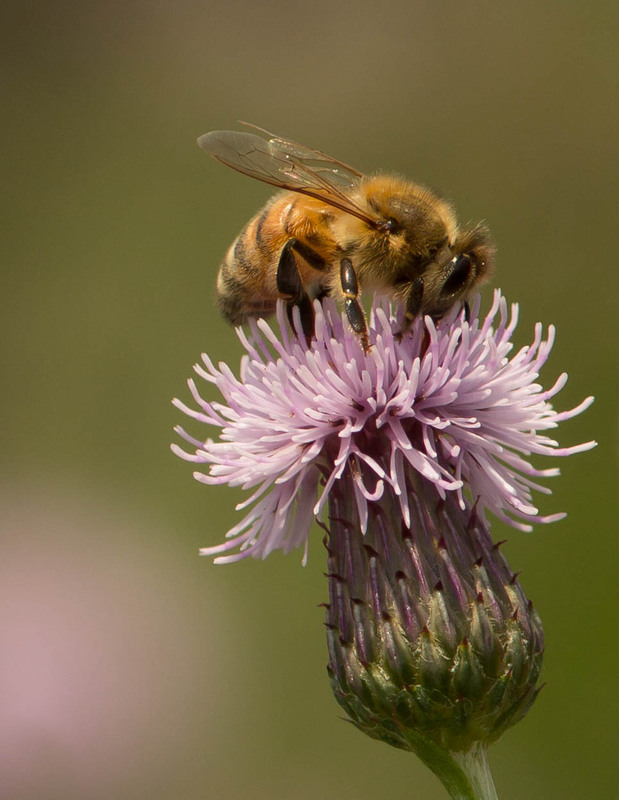 Buzz on over to Bee Fest on Saturday, August 20 from 10 a.m. to 5 p.m.
– Amy Greene is a curator of education for the Detroit Zoological Society and oversees the Belle Isle Nature Zoo. For more information about this facility, visit www.belleislenaturezoo.org.